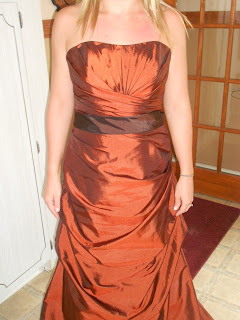 After emailing each other a few times, in addition to her sending me pictures of her dress, her bridesmaids dress, and her usherettes dress, we decided to change up the colors some, based on her wedding colors of burnt orange, dark brown, and tan... Wow, what a beautiful combination of colors for a fall wedding in October. 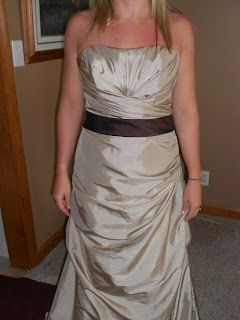 I suggested that we make one set for the bridesmaids and another set for the usherettes. 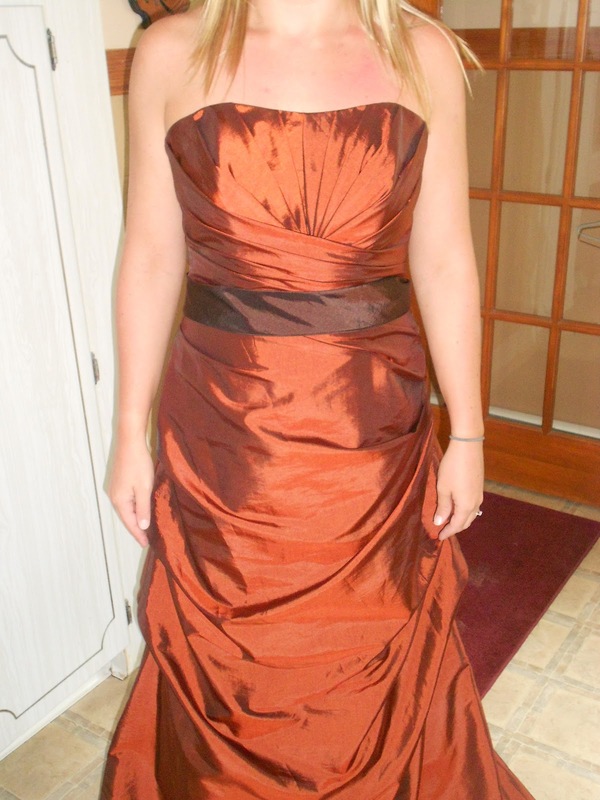 So I started working on some more designs, one with the bridesmaid dress in mind, and one with the usherette dress in mind. 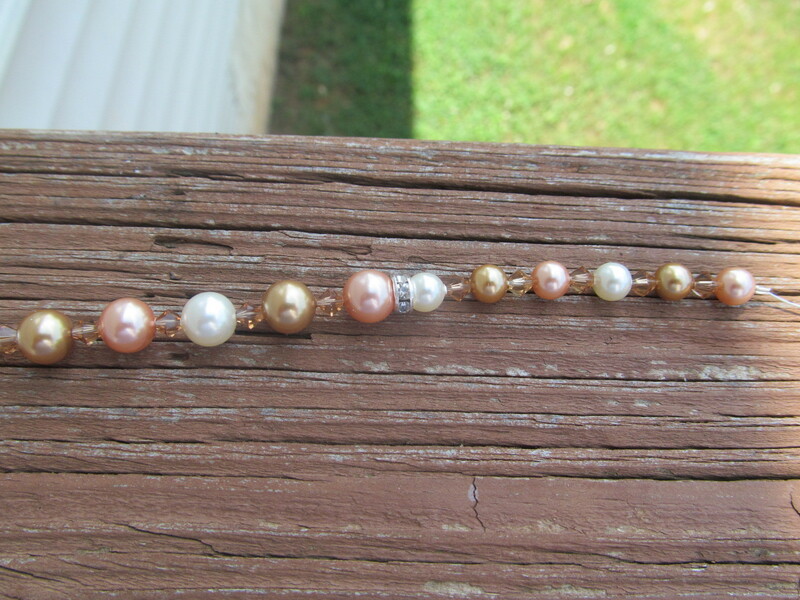 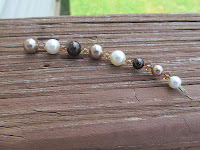 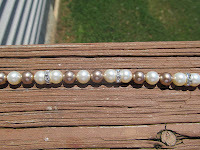 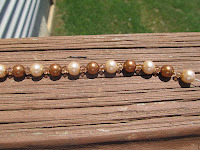 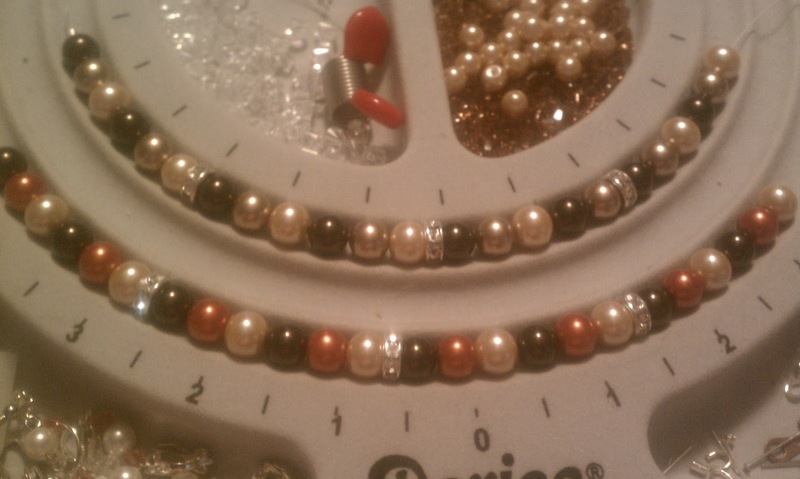 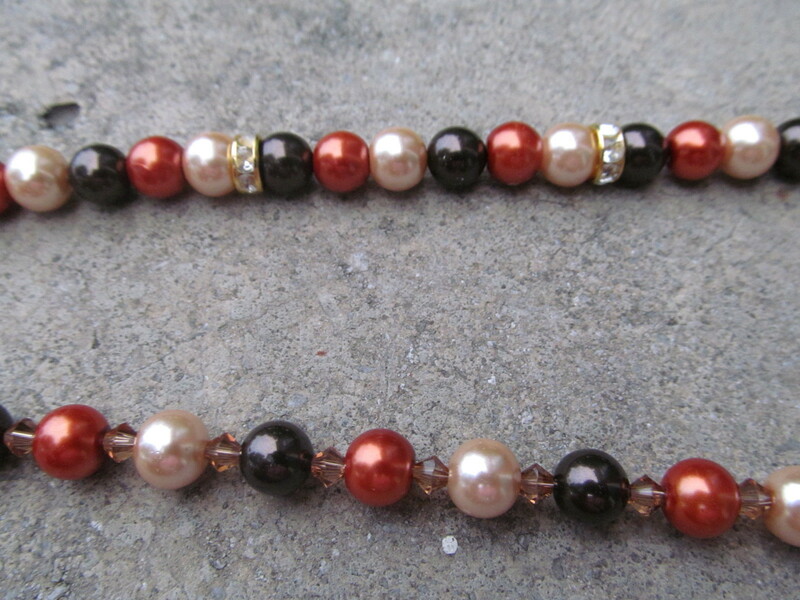 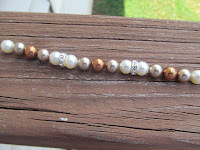 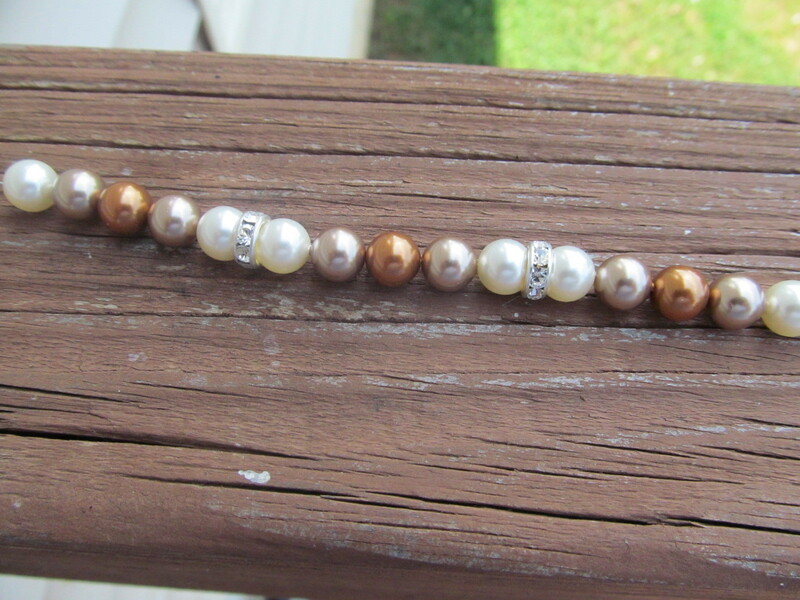 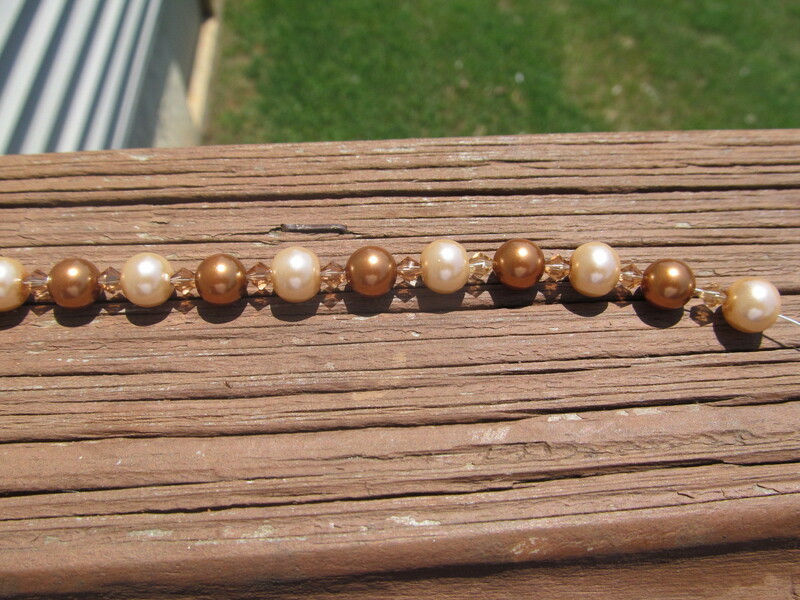 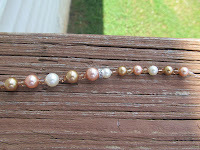 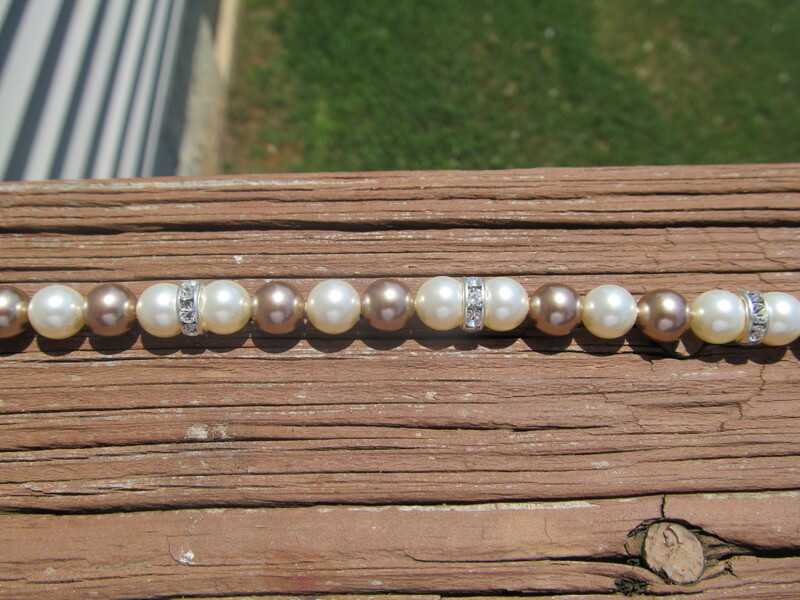 So for the bridesmaids, I started with some beautiful burnt orange glass pearls that I had found on Etsy, champagne glass pearls, and some Swarovski deep brown pearls. 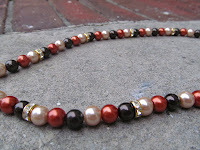 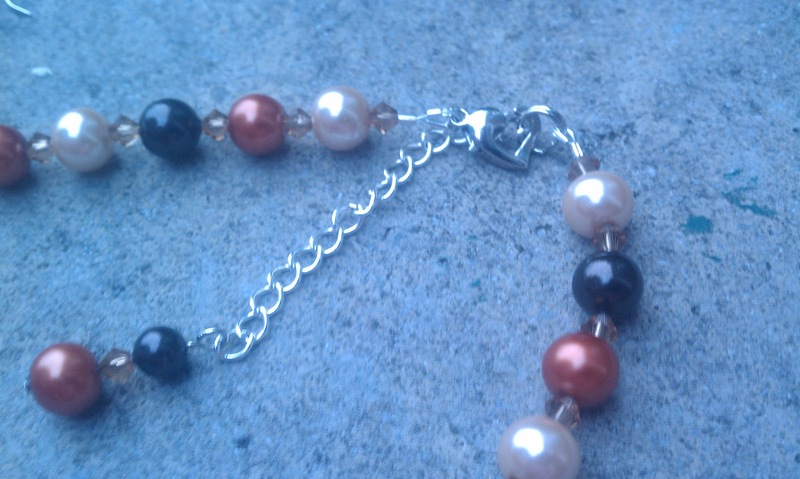 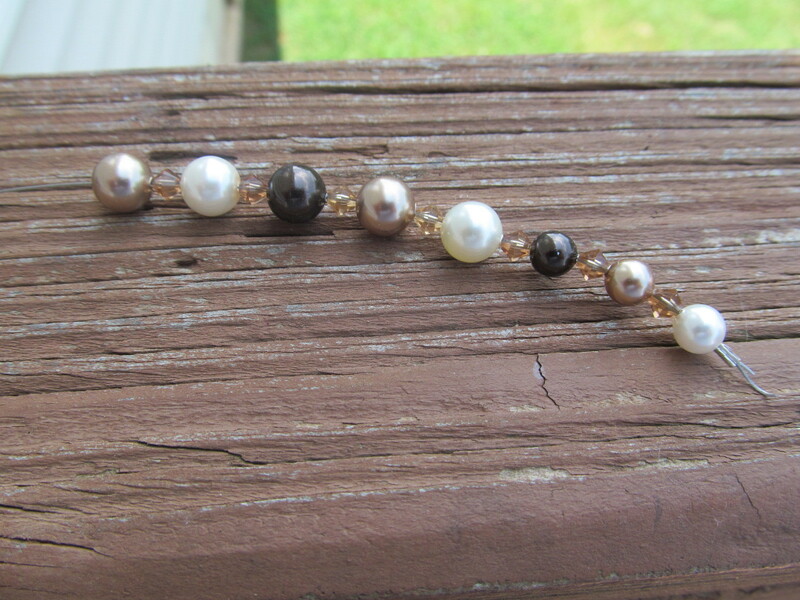 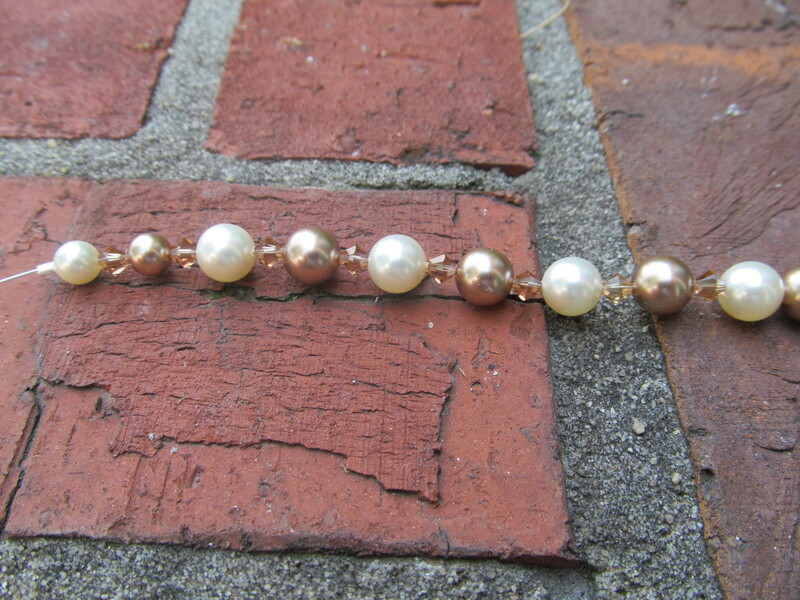 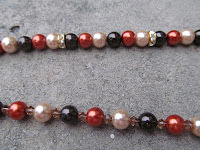 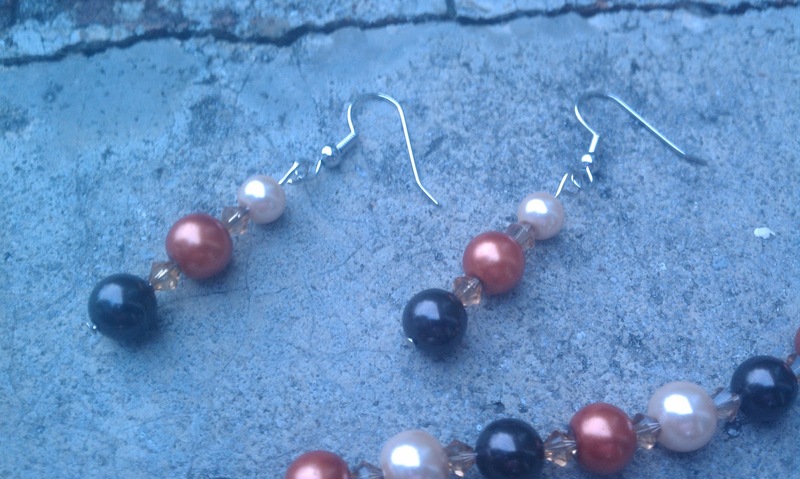 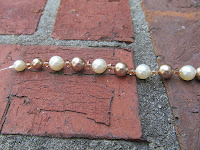 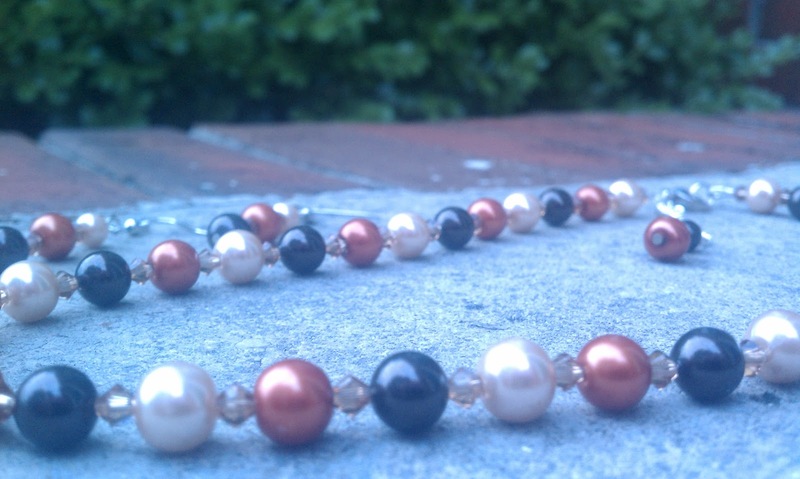 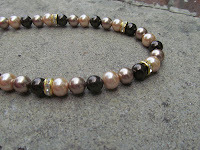 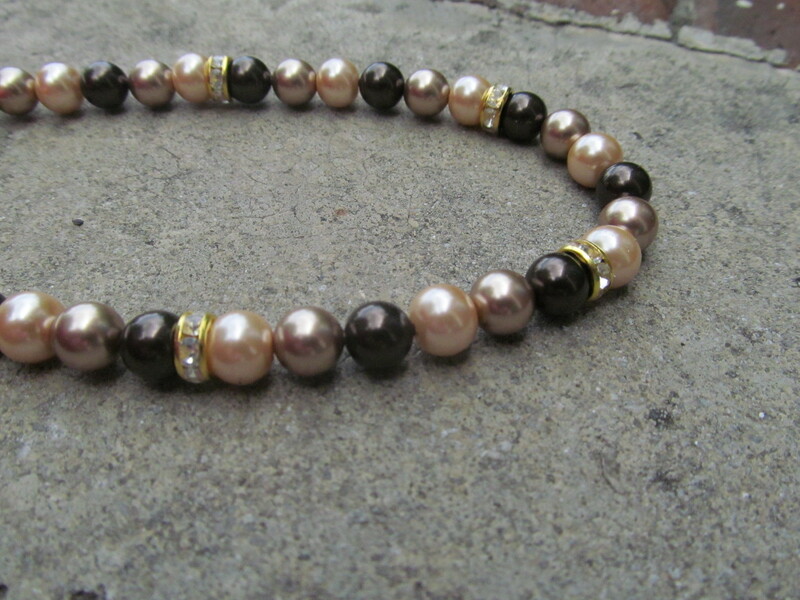 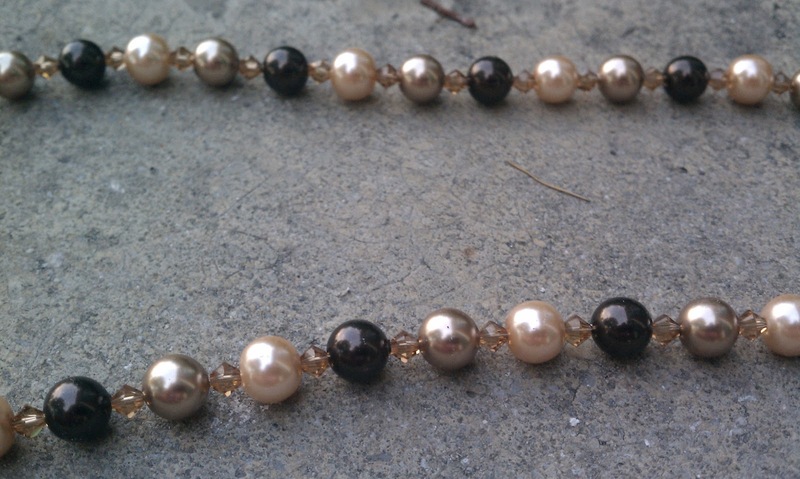 For the usherette designs, I created a design with the same glass champagne pearls and Swarovski deep brown pearls, and replaced the burnt orange glass pearls with some Swarovski bronze pearls.